Understanding China’s perpetual wars against its neighbours. #Chinese expansionism, #China, #expansion, #war, #US, #Japan. This blog explains to Westerners the politics of East Asia which seems incomprehensible to them but not that incomprehensible to East Asians. 1. Origin of policy of Forever Expanding. Since Han’s time (200+ BC), at his Coronation, every Emperor of China must swear to forever expand the territories of the Chinese Empire (in direct contrast to the pledge of non-aggression of Western Empires). The Forever Expanding policy is called Silkworms Eating the Berry Leaves since the Qin Dynasty (preceding the Han Dynasty) (see reference ). 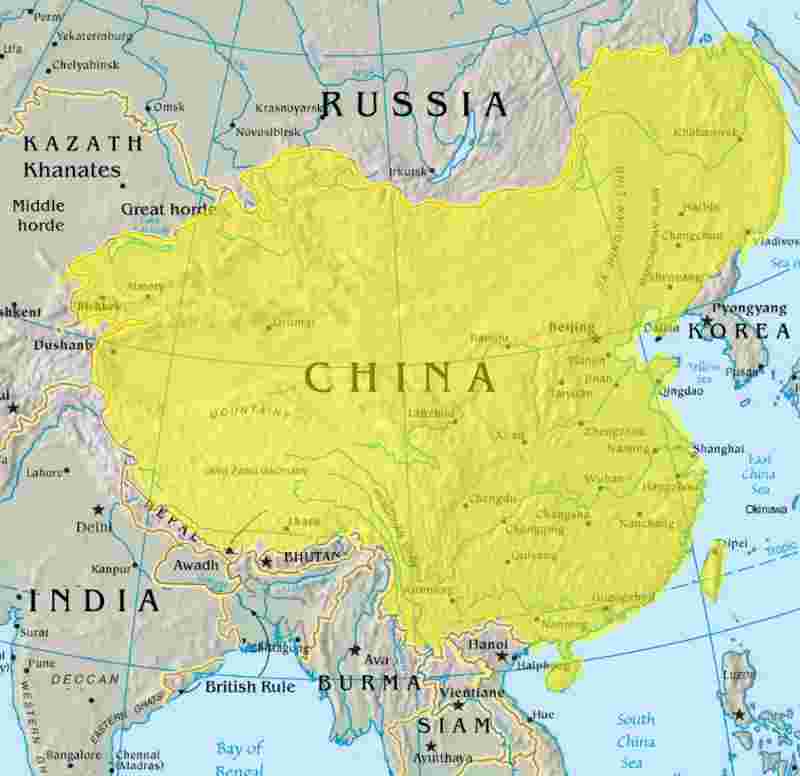 The vast area of current China is the result of such Forever Expanding policy starting from a Zhou dynasty (1046BC-256BC) with an area only comparable to Japan. Figure: The approximate territory of the Zhou dynasty in China. Drawn by Ian Kiu.The approximate territory of the Zhou dynasty in China. Drawn by Ian Kiu. Derived from China_map.png by Nat. https://en.wikipedia.org/wiki/Zhou_dynasty#/media/File:Zhou_dynasty_1000_BC.png Date 15 February 2011, Territories_of_Dynasties_in_China.gif: Albert Herrmann (1935). History and Commercial Atlas of China. Harvard University Press. from “The Chou Dynasty, 11th-9th Centuries B.C.” Author Territories_of_Dynasties_in_China.gif: Ian Kiu. This file is licensed under the Creative Commons Attribution-Share Alike 3.0 Unported license. 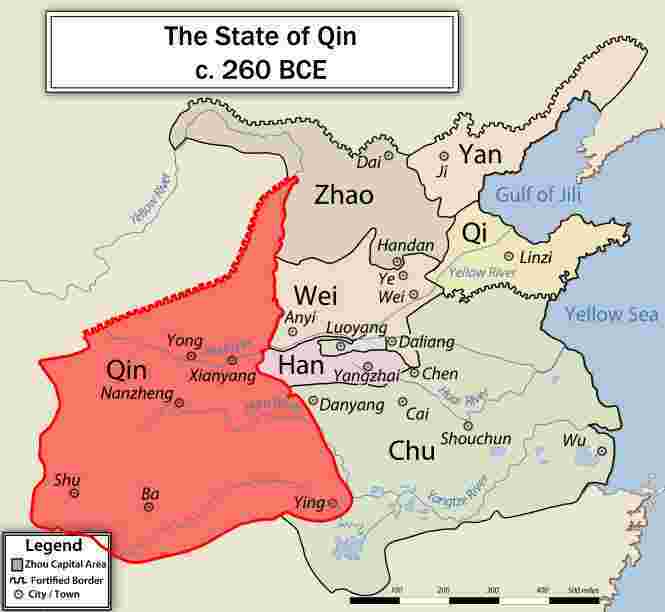 The Zhou empire had two powerful nominally vassal states Chu and Qin (one of Qin’s successor kings usurped the Zhou’s last emperor to become Emperor Qin Shih Huang De). Creative Commons attribution share alike. This file is licensed under the Creative Commons Attribution-Share Alike 3.0 Unported, 2.5 Generic, 2.0 Generic and 1.0 Generic license. Figure: Map of Three Kingdoms period of China, as of 262 A.D., Date1 1 August 2017, Author SY, file https://commons.wikimedia.org/wiki/File:Three_Kingdoms.png. File is licensed under the Creative Commons Attribution-Share Alike 4.0 International license. Figure: Map of Song Dynasty 1141, By Ian Kiu, Based on a map in Albert Herrmann (1935). History and Commercial Atlas of China, Harvard University Press , file https://en.wikipedia.org/wiki/Jin%E2%80%93Song_Wars#/media/File:Sung_Dynasty_1141.png. This file is licensed under the Creative Commons Attribution 3.0 Unported license. Figure: Map of Qing Dynasty China in 1765., File: https://upload.wikimedia.org/wikipedia/commons/9/9c/18_century_Qing_China.png . Date 1-8-2011 Source Originally from CIA, taken from commons. Author CIA (Background map) Derivate work: User:Soewinhan. This image is a work of a Central Intelligence Agency employee, taken or made as part of that person’s official duties. As a Work of the United States Government, this image or media is in the public domain in the United States. 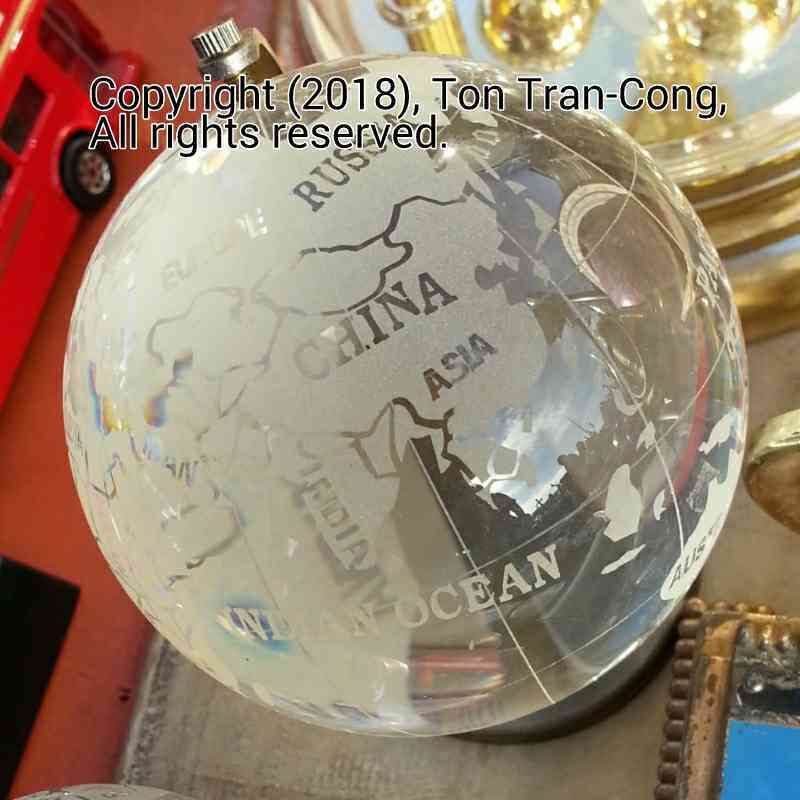 Figure: Map of China on a Chinese glass Globe made around the year 2000. 2. Methods of upholding the pledge. 2a. The Chinese Emperor is expected to carry out overt aggression on any unprepared neighbour. No causis bellum is required. There is no place for Morality in Chinese Foreign Affairs policy: The winner is the Moral Authority! Winning the unprovoked war is the highest objective of “Chinese Morality (or Immorality?)”. 2b. If overt aggression has no chance to succeed, the Emperor has to subvert to weaken his neighbours with corruptions and unfair trade practices (economic sabotage and graftings are standard practice). 2c.The Chinese Emperor declares that he is the sole Son of Heaven and communicates all sovereign matters to Heaven. All neighbours have to communicate through him. He will abuse this role to aggravate internal wars on successions in neighbour countries. He will then use his “Representative Authority of Heaven” to stage occupation wars on neighbour countries under the pretext of upholding Heavenly Order. 3. Application of the “Forever Expanding” policy. Strategically China IS at perpetual war with every of its neighbours (including Russia) and distant powers (including USA). Technically, China try NOT to declare or be declared at war! Its strategy is to wear down opponents psychologically with successive alternating cycles of military threats, propaganda, then trade wars and then offers of “mutual cooperations” until any one of its opponents is psychologically worn out, weakened enough for singling out, isolated and over-run with a surprise attack by its huge army. The strategy is more than 2000 years old but is still effective. Its offer of “mutual cooperations” (such as currently to the Phillipines) is actually part of an attack plan, as it wears down the opponent with chaos and loss caused by continual reorientations. Western leaders DON’T know that strategy but Japaneses and East Asians know it well. China is more worried about a half-armed Japan than about a fully armed US! (Those who cannot remember the past are condemned to repeat it._George Santayana).
. Sima Qian, Records of History by the grand historian (translated by Burton Watson), Qin Dynasty, Han Dynasty I (Rev. Ed.) and Han Dynasty II (Rev. Ed. ), the Res. Cent. for Transl. The Chinese Univ. of Hong Kong and Colubia Univ. Press, Hong Kong and New York, 1961.
. Sun Tzu, The Art of War. First published in Chinese before 200BC.
. Carl von Clausewitz, Principles of Wars, Translated by Hans W. Gatzke, The Military Service Publishing Company, 1942.
. Clausewitz, On War, Translated by Colonel James John Graham N. Trübner, London, 1873. Original is Carl von Clausewitz, Vom Kriege, Dümmlers Verlag, Berlin, 1832. They were found by a Chinese team that was led by Professor Zhaoyu Zhu of the Chinese Academy of Sciences, and included Professor Robin Dennell of Exeter University. The tools were discovered at a locality called Shangchen in the southern Chinese Loess Plateau. The oldest are ca. 2.12 million years old, and are c. 270,000 years older than the 1.85 million year old skeletal remains and stone tools from Dmanisi, Georgia, which were previously the earliest evidence of humanity outside Africa. Latest Social Issuea Blogs, Understanding Allying to Distant Powers to Subjugate Immediate Neighbours, Understanding the Strike then Consolate Tactic , Understanding China’s Perpetual Wars against its neighbours , Air-grown mung bean sprouts for food, Mung Beans as grains for self-reliance, Simple determination of East Asia lunisolar New Year. ← Inflation is vicious to fiat money users. Thank you, johnip, for the link. Reblogged this on Ace Global News.